This annual Wilmington tradition is a three-day, outdoor music festival held on the historic Wilmington riverfront featuring outstanding live music from across the U.S.! Celebrate the First Friday of August on Loockerman Street in Dover. Shop the small businesses down Loockerman for special deals and enjoy live music and entertainment outside. Ahoy Mateys! Come Sail on Kalmar Nyckel, the Tall Ship of Delaware. Landlubbers — come walk the plank of this authentic seagoing re-creation of a 17th-Century Dutch Pinnace. Our crew don pirate and sailor garb, and guests are encouraged to dress up as well! The kids will enjoy a pirate story or help raise the Jolly Roger, and the adults will enjoy a history talk. Both kids and adults can try their hand at a scavenger hunt with a treasure at the end! See the ship&apos;s cannons and imagine being at the helm of this magnificent vessel. Join our captain and a crew of salty pirates for a festive experience on the high seas! Visit our Sail/Tour Schedule for more information. If it&apos;s a Friday in the summer it&apos;s time for Rock the Boat - the favorite way for everyone to unwind from a long week at work, too much fun in the daytime sun, or just to transition to a long, lovely summer weekend. Don’t worry, if you can’t make it on Friday- there is more music to enjoy on Sunday. Reserve your spot now so you can kick back and relax on this Sunday Jamz Cruise! 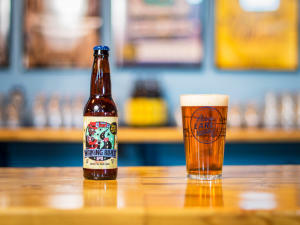 Join Blue Earl Brewing for the inaugural Blue Earl&apos;s Food Truck Throwdown. They are hosting a Food Truck Competition to be held outside the brewery including 10 awesome food trucks competing for your vote to win the coveted Blue Earl Peoples Choice Award! 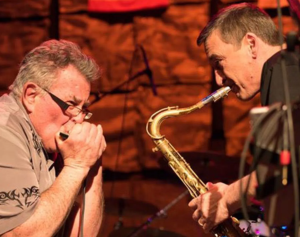 Bring the family and your lawn chairs to the winery for the Summer Concert Series. Saturday’s band is “Inna Sense”, and the Food Truck is “gettaPIZZAthis”. Join us for a walking tour of the town once known as "Head of Broadkill." The tour begins at the Dogfish Head Brewery and last approximately 1 hour. During Steamin’ Days at Auburn Heights, the site truly comes alive. Visitors are encouraged to climb into an antique automobile or board one of our trains and experience what it was like to travel at the turn of the 20th century. Or tour the magnificent 1897 mansion that was home to three generations of the Marshall family. There is something for everyone at Auburn Heights, whether you are 2 or 92. This event happens on the First Sunday of the month, so don’t miss out- or you will have to wait till September. Constitution Yards is a seasonal beer garden featuring 30,000 sq. ft of outdoor space at Justison Landing, along the Christina Riverwalk. 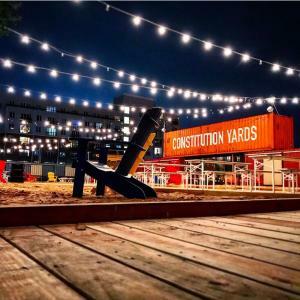 Constitution Yards features classic backyard BBQ fare, an ever-changing rotation of craft beers, frozen cocktails, and plenty of space for backyard games like corn hole toss, badmington, bocce, life-size jenga and a full sized wiffleball field. Eat, drink, relax and play; Constitution Yards is an urban waterfront destination unto itself.